I’m a sucker for historical places. I love seeing old architecture. 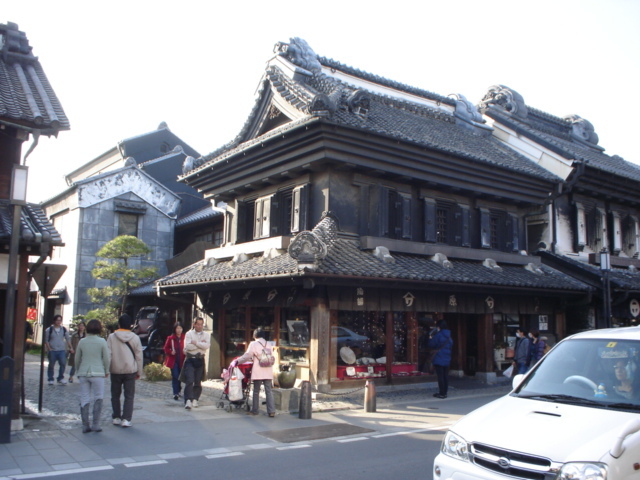 One of the best places to see well preserved Edo Period architecture is in Kawagoe, Saitama. 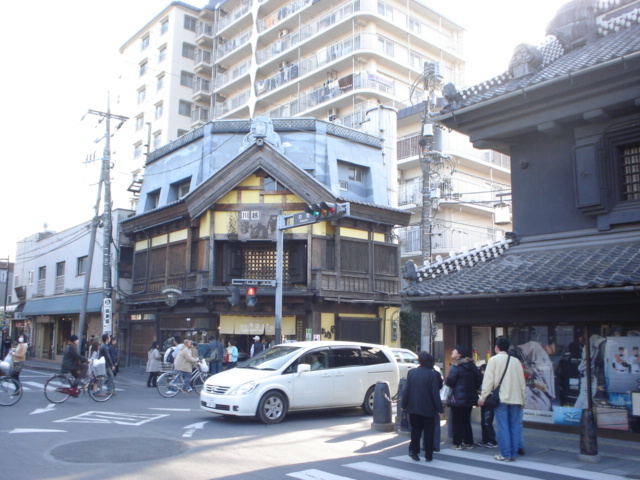 The city is sometimes called Koedo, or Little Edo, because it has so much Edo Period buildings. 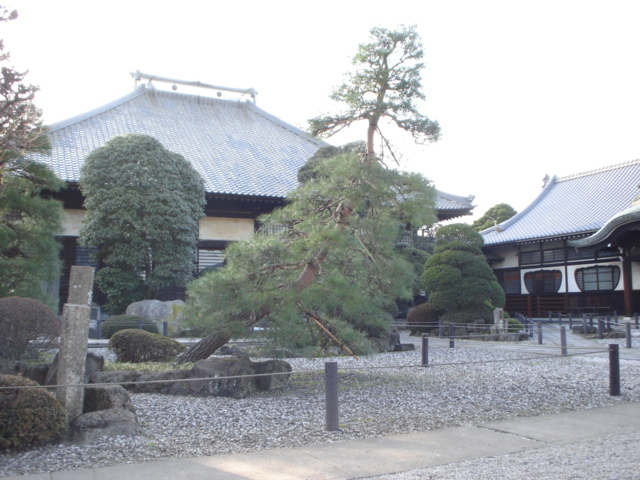 There are also many temples and shrines. I didn’t have enough time to see everything I wanted to see, so I’ll have to go back again to see more. Please enjoy the pictures! 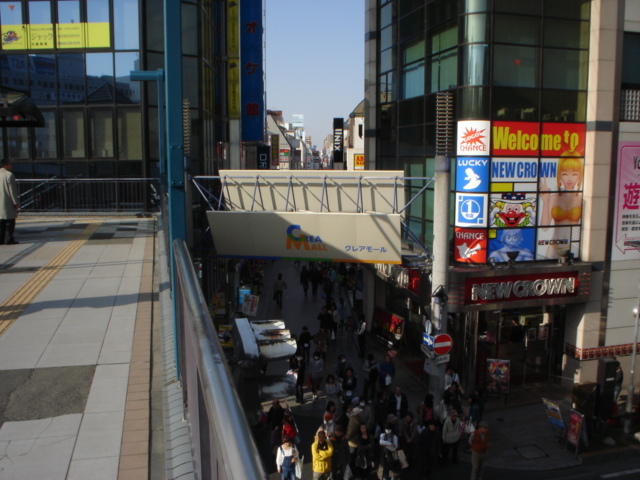 The entrance to Crea Mall, north of Kawagoe Station. 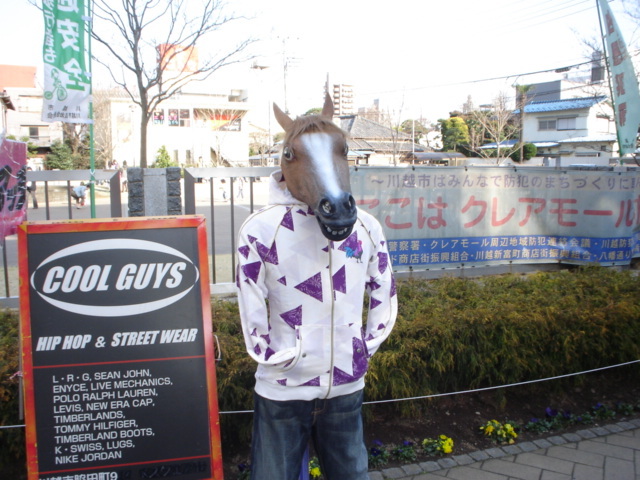 A shop for hip hop and street wear. Is it for horses? 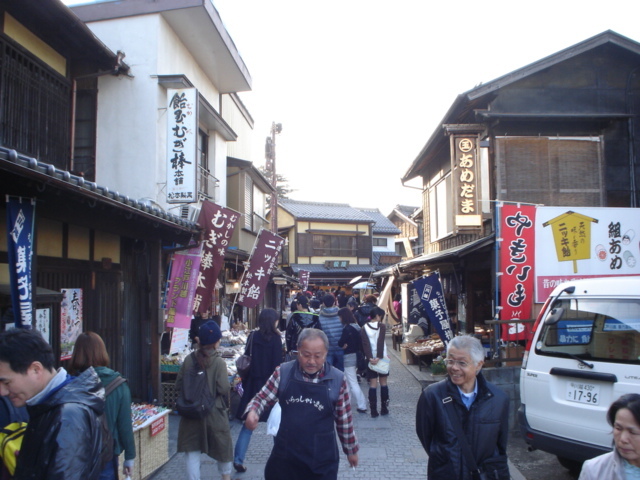 Walking down the street, the first old buildings can be seen. 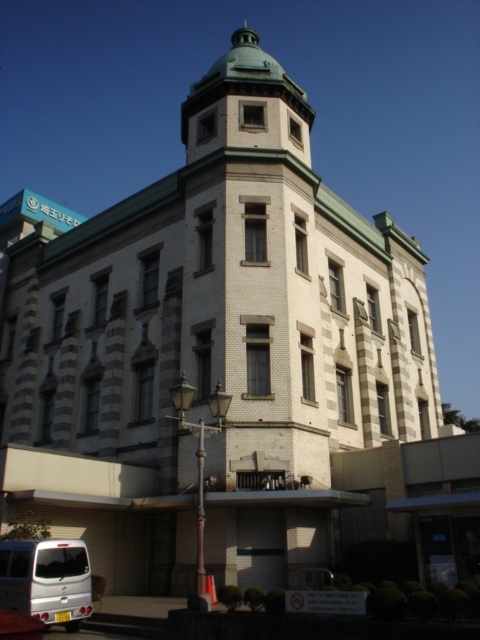 Many of the old buildings are European style. 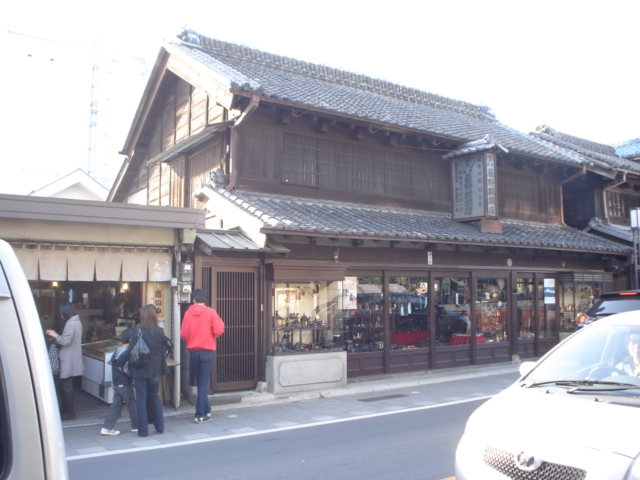 And many are Japanese style, like this shop. 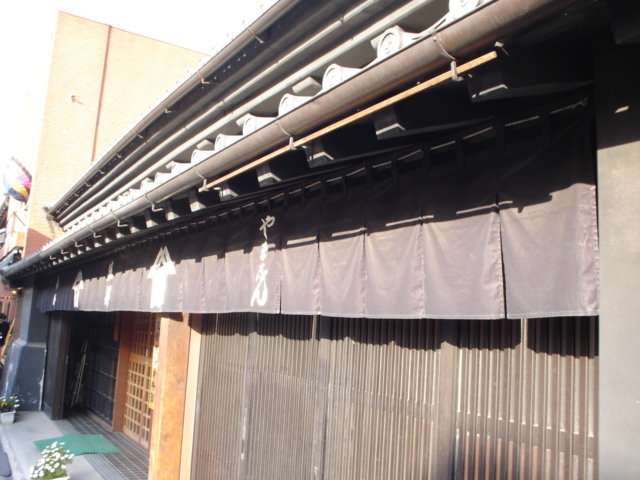 Next door is an old Japanese style building. I wonder if it's from the Edo Period. This one impressed me. It has a nice classic design from when European architecture was popular. 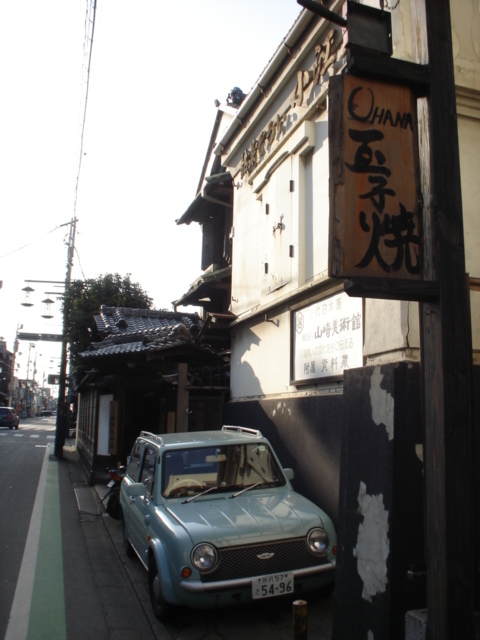 There's even an old little car next to an old building. Quite the mix here. It's old Japan meets modern Japan. Across the street are some great old European buildings. Unfortunately, there was quite a bit of traffic. 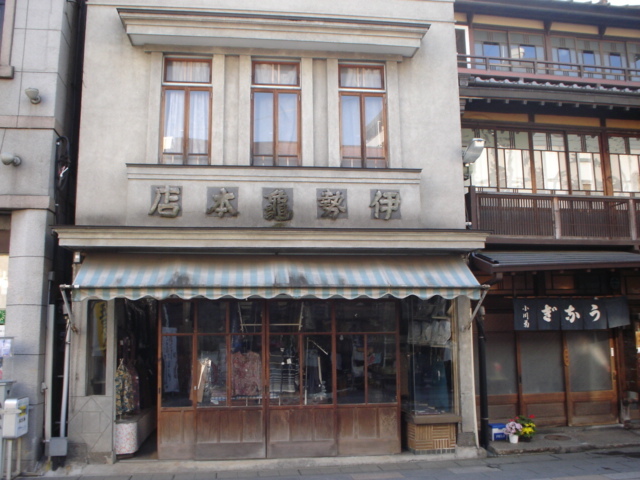 A shop in an old Japanese warehouse. 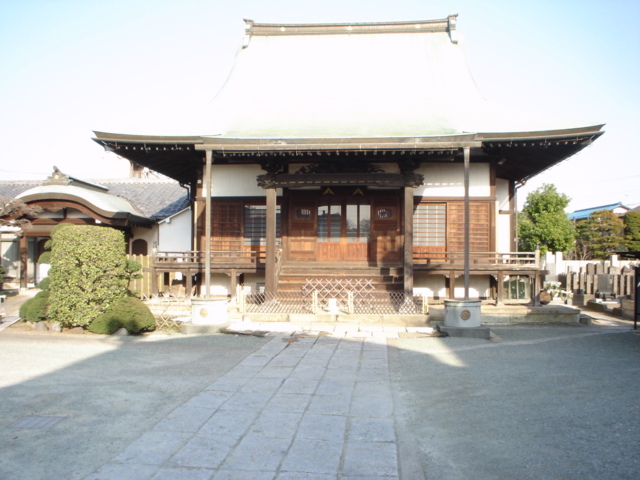 Lots of temples and shrines are in Kawagoe. 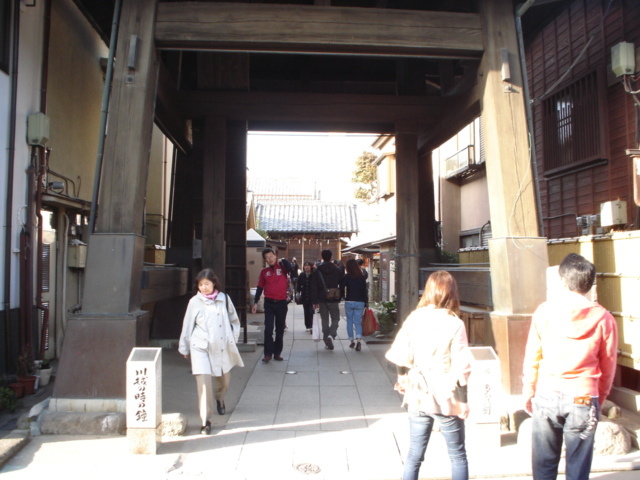 This is Houzenji Temple. 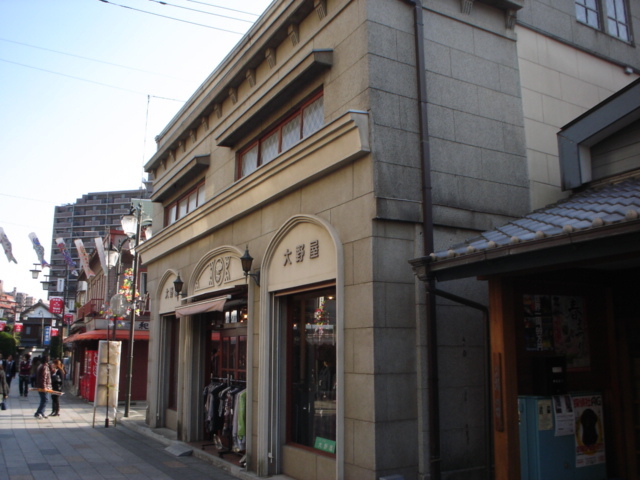 More old buildings. There are so many along this street! And more traffic obscuring my view of these old warehouses. Here's another wonderful old building. 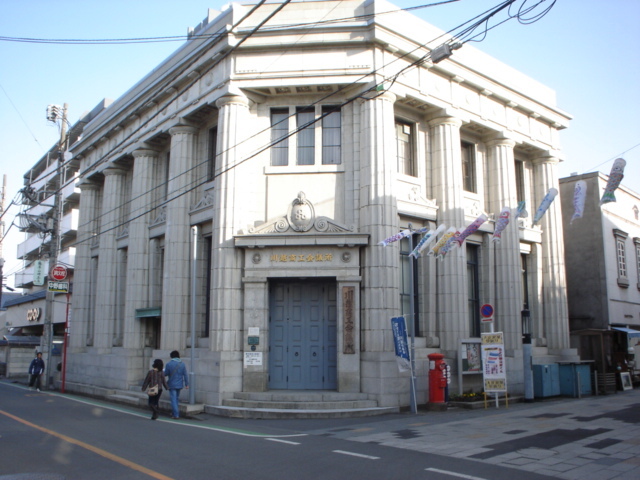 This is Saitama Resona Bank. These buildings look old, but great! 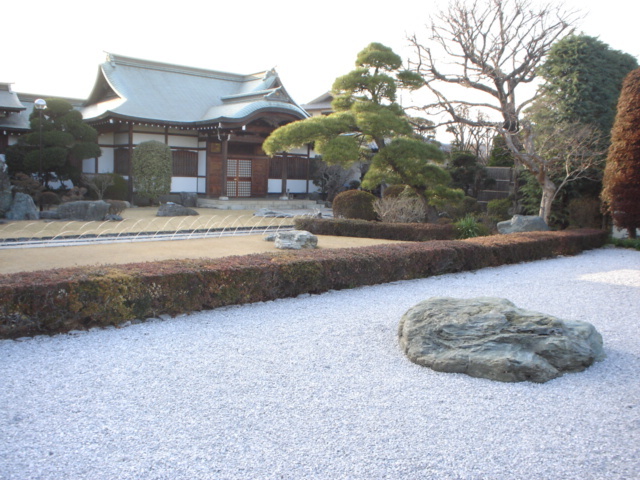 Doesn't this just make you want to go back to the Edo Period? 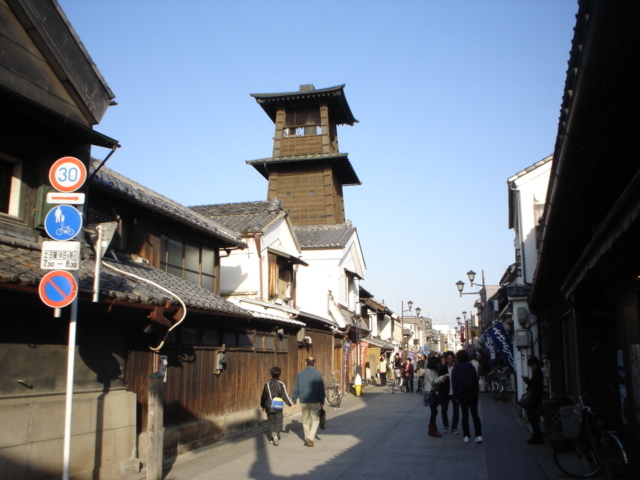 Now I could see Toki no Kane, the famous landmark bell tower in Kawagoe. 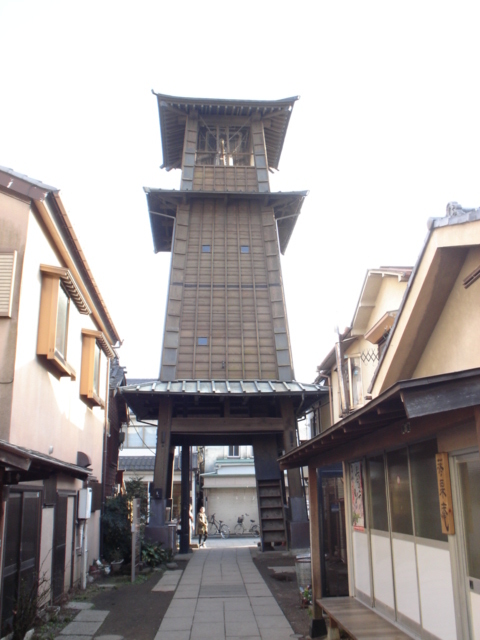 If you walk under the bell tower, you can see a small shrine. 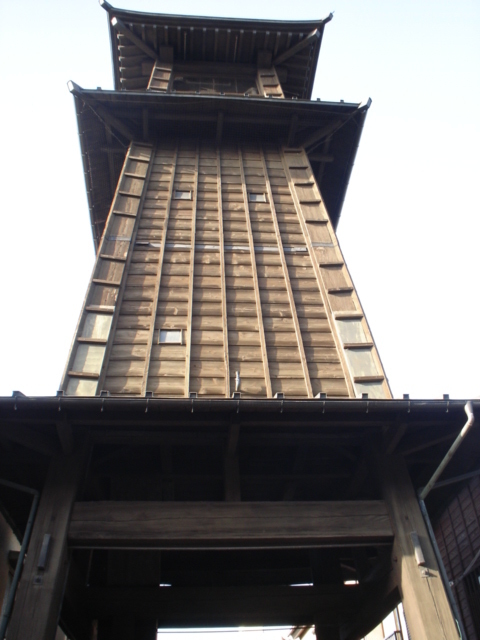 And here's the bell tower from the other side. 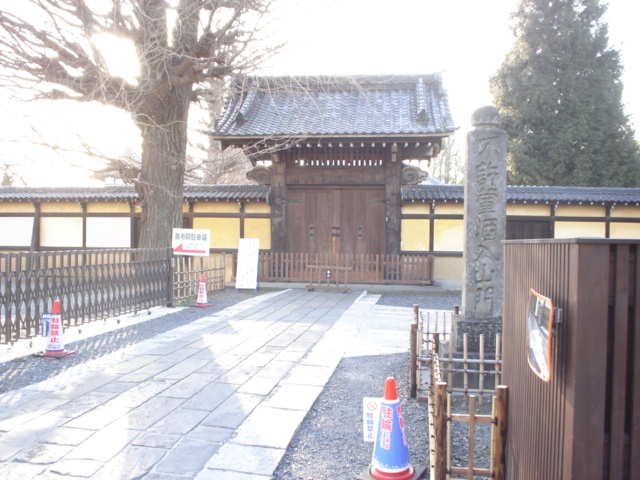 Here's a gate to Yojuin Temple. 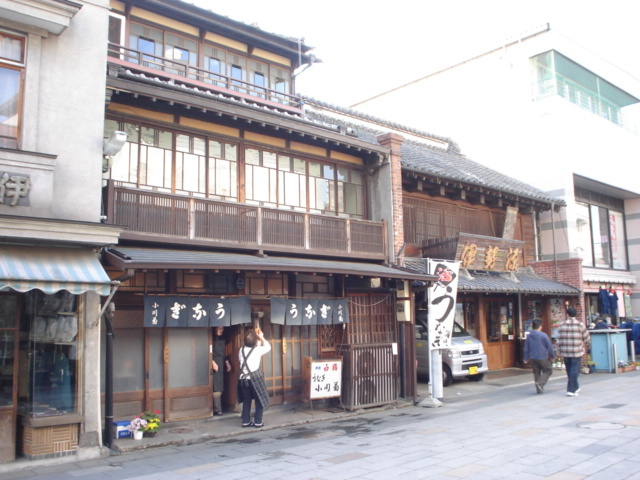 Here's a very popular location in Kawagoe, Kashiya Yokocho. 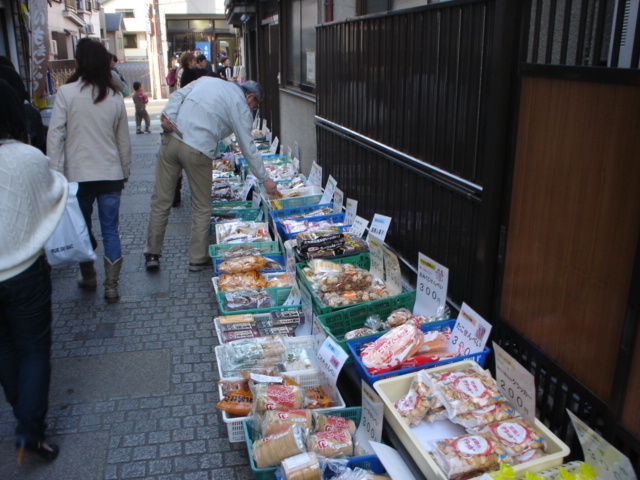 It's an old market street with many sweets shops. 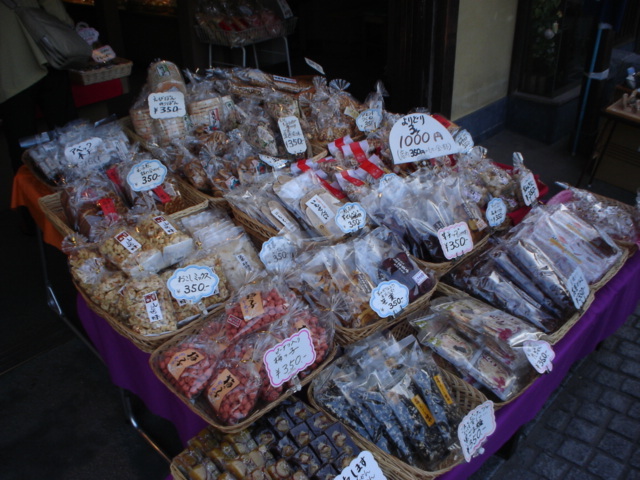 Lots of old traditional sweets and snacks! 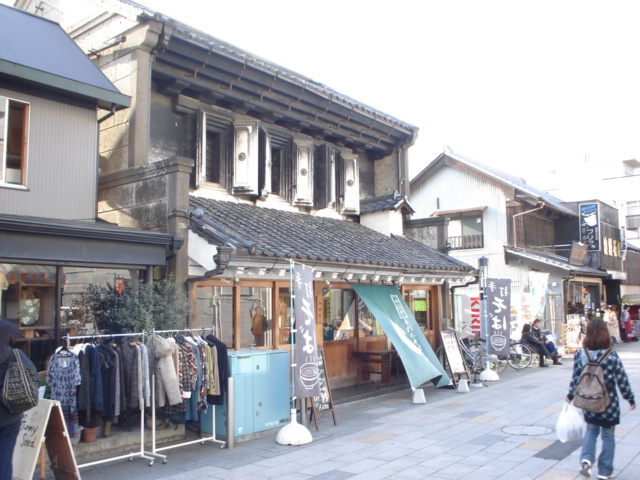 All the shops are in old buildings. 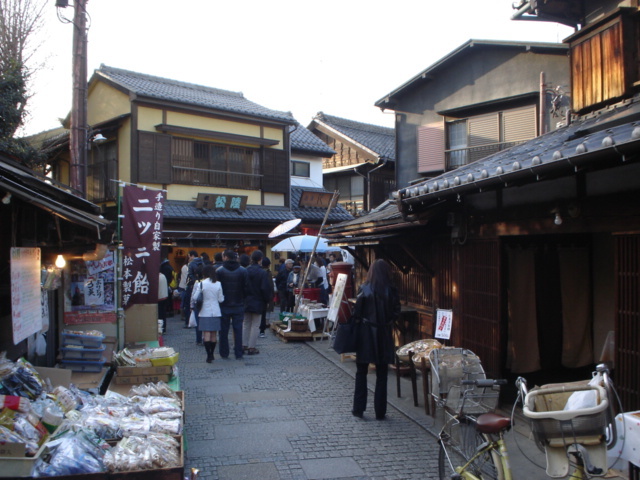 Even though this street is short, there's a lot to see and buy. 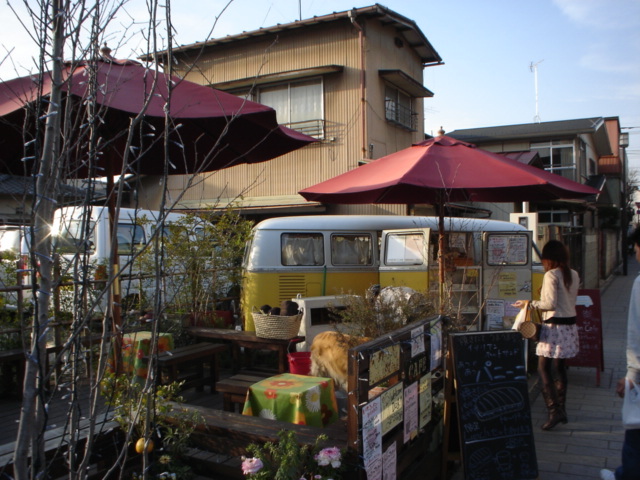 This is a small cafe which includes a VW bus. 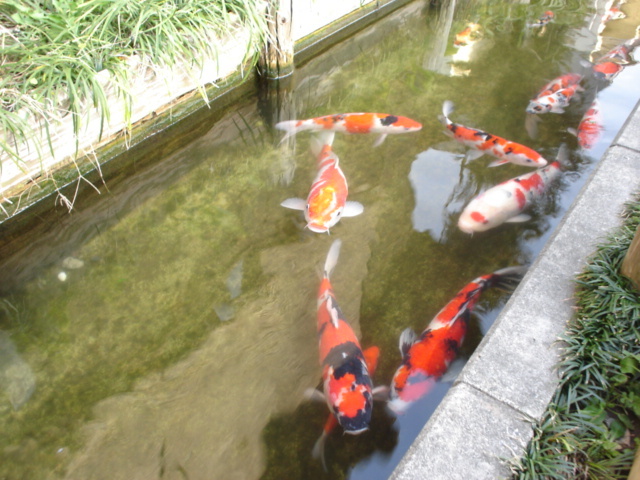 Koi in a pond just outside a restaurant. 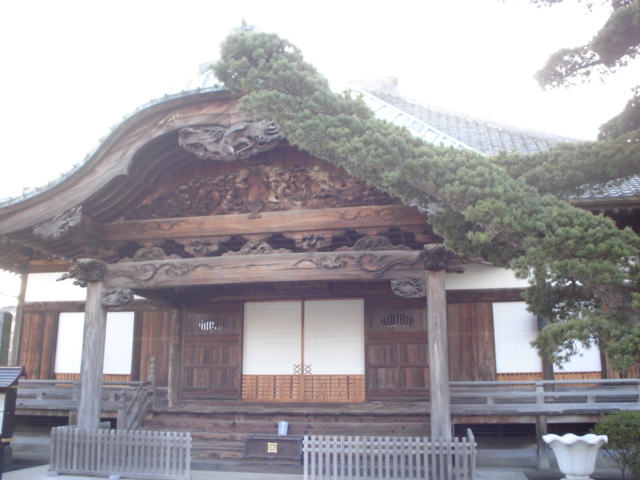 Finally, here is Gyodenji Temple. It has beautifully kept grounds. The temple itself is also quite beautiful. 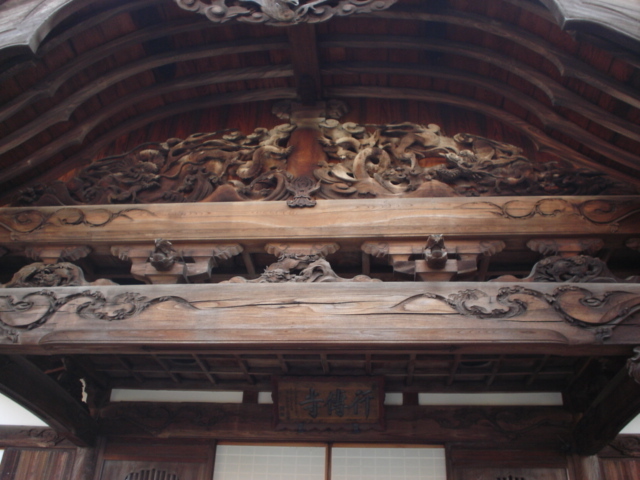 Here's a closeup of the carvings on the temple. 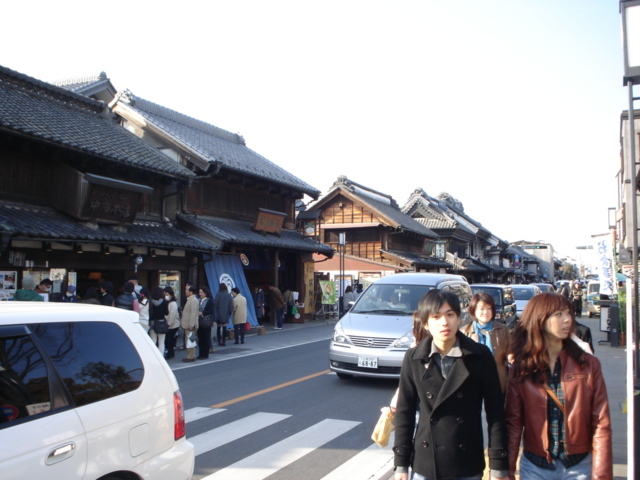 If you have a chance to visit Kawagoe, I definitely recommend it. 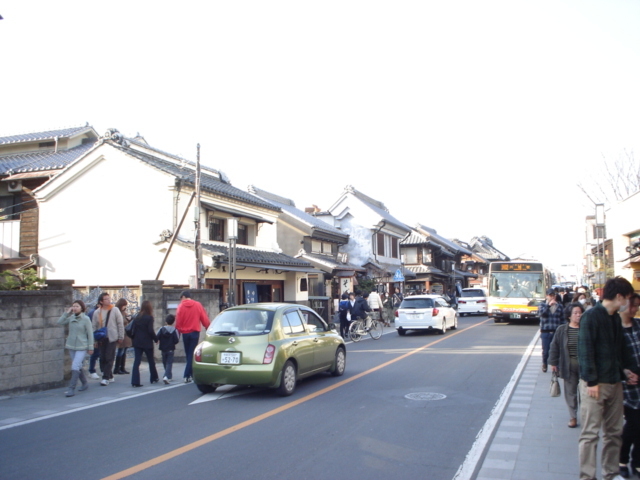 The street that most of this is on goes north from the east side of Honkawagoe Station. The following map should help. 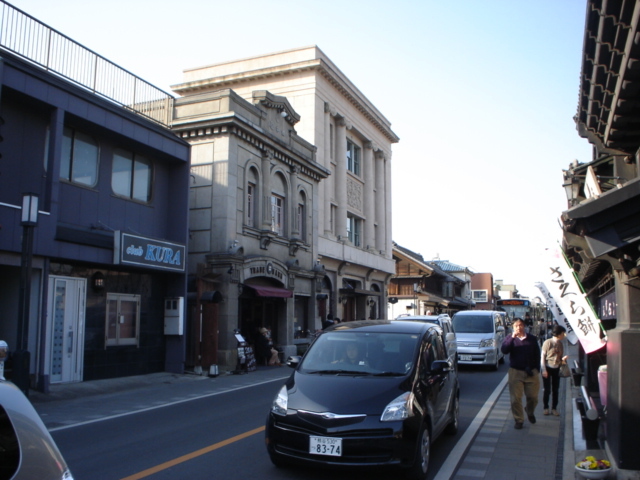 The street I was on goes from Honkawagoe Station up to just west of the Motomachi area. 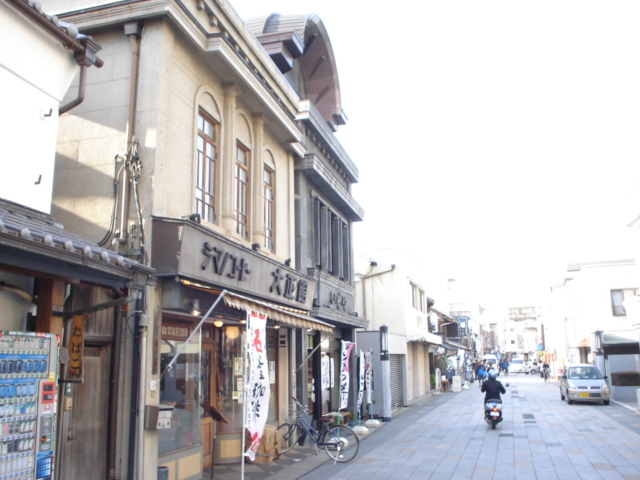 Kashiya Yokocho is west of Motomachi.